Such an exotic sounding name is it not? This small island nation lies at the southern tip of the Caribbean Sea and is a popular tourist destination for its warm, sunny weather. 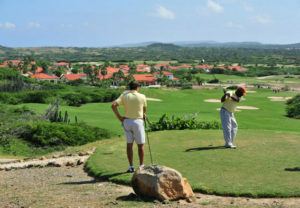 What it is also a source of renown for Aruba is the only PGA rated course in the country: Tierra Del Sol. This Eighteen hole course was designed by the legendary architect Robert Trent Jones II, who is proudly carrying on the family tradition. 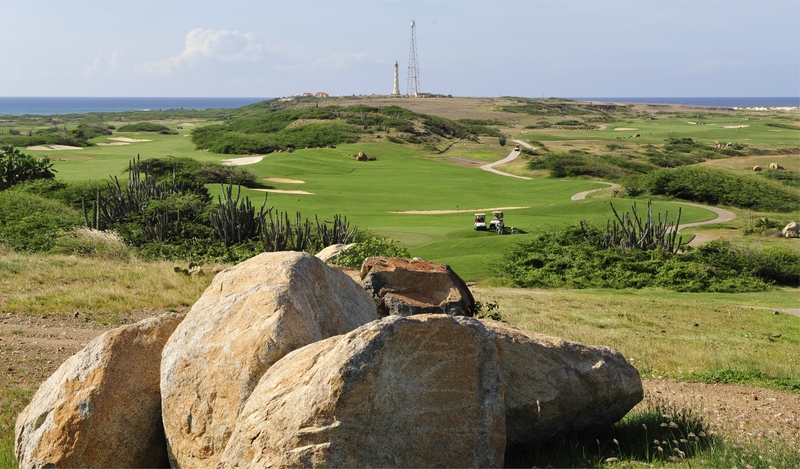 The course is located on the northwest corner of the island, a very scenic location. While at play, players are treated to a contrast of scenic ocean views and also scenic views of the desert landscape. Views are nice but what about the game? Being a PGA rated course, this course has a little something for everyone. Every hole as four tee boxes in order to accommodate every level of play. The course is still a challenge though! Being on a island, one should not be surprised at the prevailing trade winds. The par 3’s on the course can be very tricky. The signature hole, the 7th, is a par 3. The wind from the California Dunes can really throw off the ball. 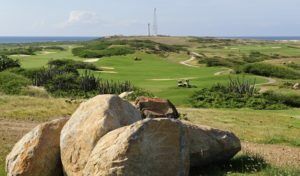 What makes Tierra Del Sol unique is the relationship it has with the rest of the island. 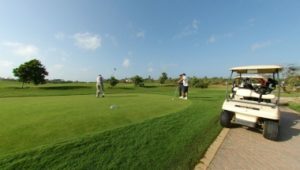 The course is actually there by itself but is only a few minutes away from the major resorts and the free standing course is accessible to all their guests! It makes sense actually, the island is so small that there really is not enough room for every course to have their own course. It always is better to share!